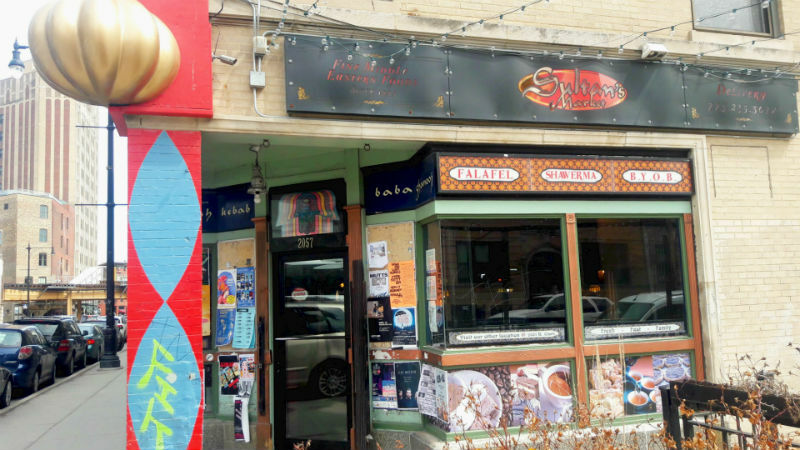 Sultan’s Market is a family-run market/restaurant that has been a Wicker Park staple for at least the last 12 years. We used to stop there on the regular when we lived in West Ridge and went to pick up my husband from work every once in a while. That was long before we went vegan, but since I’ve always been a borderline vegetarian I’d often order their vegetarian options, which mostly happen to be vegan. Their falafel sandwich is perfection. The falafel balls are crispy on the outside and warm and fluffy on the inside. The ingredients are fresh and although they may not be as fancy as some of the bigger, mostly chain restaurants, they offer something much rarer in this age of fancy-pants cuisine–they are incredibly affordable! Almost everything is under 10 bucks. My beloved sandwich is under $5! A vegetarian combo plate is $7. They also have a salad bar that offers most of the items on their menu so you can create your own delicious meal without needing to bother the busy cooks. It’s hard to find a more affordable and delicious option in the city. When I returned there for the first time after switching to a vegan diet I was impressed to find that their vegan options were clearly and thoughtfully marked on their overhead menu board. It’s such a simple thing that places can do so we don’t have to pester busy waitstaff and cooks, many of whom aren’t sure of the difference between vegan and vegetarian anyway, so it can be a painful experience. The actual market part of Sultan’s is pretty small and limited. It’s not the place to run to if you’re out of soy milk. I did pick up a small jar of tahini the last time I was there. They mostly have bags of beans and a handful of Middle Eastern staples and they aren’t marked up in price like in the typical corner store market. I’ve been going to Sultan’s for over a decade and though they’ve spread out a bit and opened another location I’m amazed that the quality of their food has remained consistent. Finally, a place that hasn’t felt the need to try to fix something that isn’t broken!